While America’s once vast digital divide is narrowing, the gap between groups of people who have those who lack access to computers and the internet persists, according to data from the U.S. Census Bureau. The term “digital divide” refers to the gap between those who have easy access to computers and the internet and those who do not due to various demographic factors. Once referring mainly to the gap between those with and without access to information shared via telephones, radios, or televisions, the term is now used mainly to describe the gap between those with and without internet access, particularly high-speed broadband. Despite having some level of access to digital information and communication technologies, various groups continue to suffer the limitations of the digital divide in the form of lower-performance computers and slower, unreliable internet connections such as dial-up. Making quantifying the information gap even more complex, the list of devices used to connect to the internet has grown from basic desktop computers to include devices such as laptops, tablets, smartphones, MP3 music players, video gaming consoles, and electronic readers. Persons without access to computers and the internet are less able to fully take part in America’s modern economic, political and social life. Perhaps most significantly, children who fall into the communication gap lack access to modern educational technology such as internet-based distance learning. Access to broadband internet has become increasingly important in carrying out simple day-to-day chores like accessing health information, online banking, choosing a place to live, applying for jobs, looking up government services, and taking classes. Just as when the problem was first recognized and addressed by the U.S. federal government in 1998, the digital divide remains concentrated among older, less educated, and less affluent populations, as well as those living in rural areas of the country that tend to have fewer connectivity choices and slower internet connections. For historical perspective, the Apple-I personal computer went on sale in 1976. The first IBM PC hit the stores in 1981, and in 1992, the term “surfing the internet” was coined. In 1984, only 8% of all American households had a computer, according to the Census Bureau’s Current Population Survey (CPS). By 2000, about half of all households (51%) had a computer. In 2015, this percentage grew to nearly 80%. Adding in smartphones, tablets and other internet-enabled devices, the percentage rose to 87% in 2015. However, just owning computers and connecting them to the internet are two different things. When the Census Bureau began collecting data on internet use as well as computer ownership in 1997, only 18% of households used the internet. A decade later, in 2007, this percentage had more than tripled to 62% and increased to 73% in 2015. Of the 73% of households using the internet, 77% had a high-speed, broadband connection. So who are the Americans still in the digital divide? According to the latest Census Bureau report on Computer and Internet Use in the United States compiled in 2015, both computer and internet use continue to vary based on a variety of factors, most notably, age, income, and geographic location. Households headed by persons 65 years and older continue to lag behind households headed by younger persons in both computer ownership and internet use. While up to 85% of households headed by a person under age 44 owned desktop or laptop computers, only 65% of households headed by a person age 65 and older owned or used a desktop or laptop in 2015. Ownership and use of handheld computers showed an even greater variation by age. While up to 90% of households headed by a person less than 44 years of age had a handheld computer, only 47% of households headed by a person 65 years and older used some type of handheld device. Similarly, while up to 84% of households headed by a person less than 44 years of age had a broadband internet connection, the same was true in only 62% of households headed by a person aged 65 and older. Interestingly, 8% of households without a desktop or laptop computer depended on smartphones alone for internet connectivity. This group included 8% of householders ages 15 to 34, versus 2% of households with householders age 65 and older. Of course, the age gap is expected narrow naturally as younger current computer and internet users grow older. Not surprisingly, the Census Bureau found that using a computer, whether a desktop or laptop or handheld computer, increased with household income. The same pattern was observed for a broadband internet subscription. For example, 73% of households with annual incomes of $25,000 to $49,999 owned or used a desktop or laptop, compared with only 52% of households earning less than $25,000. The longstanding gap in computer and internet use between urban and rural Americans not only persists but is growing wider with the increased adoption of new technologies such as the smartphone and social media. In 2015, all persons living in rural areas were less likely to use the internet than their urban counterparts. However, the National Telecommunications and Information Administration (NITA) found that certain groups of rural residents face a particularly wide digital divide. For example, 78% of Whites, 68% of African Americans, and 66% of Hispanics nationwide use the internet. In rural areas, however, only 70% of White Americans had adopted the Internet, compared to 59% of African Americans and 61% of Hispanics. Even as internet use has increased dramatically overall, the rural vs. urban gap remains. In 1998, 28% of Americans living in rural areas used the Internet, compared to 34% of those in urban areas. In 2015, over 75% of urban Americans used the internet, compared to 69% of those in rural areas. As NITA points out, the data shows a consistent 6% to 9% gap between rural and urban communities' internet use over time. 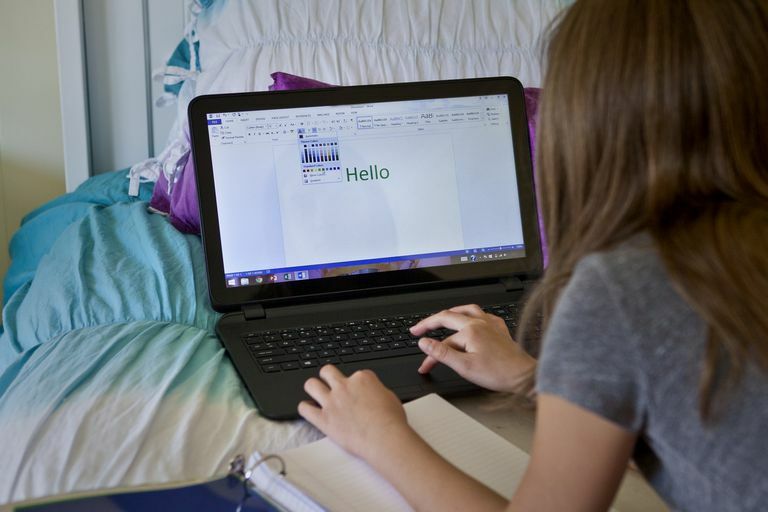 This trend, says NITA, shows that in spite of advances in technology and government policy, the barriers to internet use in rural America are complex and persistent. People who are less likely to use the internet no matter where they live—such as those with lower income or education level—face even greater disadvantages in rural areas. In an effort to address the problem, the FCC in February 2017, created the Connect America Fund allocating up to $4.53 billion over a period of 10 years to advance high-speed 4G LTE wireless internet service primarily in rural areas. Guidelines regulating the fund will make it easier for rural communities to get federal subsidies for advancing internet availability.